This project investigated the impacts of non-wood pole (i.e. 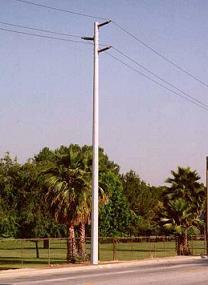 concrete, steel and fiberglass reinforced poles) structures on overall system reliability. The project was divided into three main tasks: lightning performance assessment, mechanical strength of non-wood poles, and impact on system reliability. In Task 1, the lightning withstand strength of non-wood poles was analyzed in comparison with wood poles due to the fact that overhead distribution systems are extremely vulnerable to lightning strokes, as they cover a wide geographic region and are often the tallest objects within a given area. Critical flashover voltage (CFO) was adopted to measure the lightning strength of non-wood or wood pole structures. The CFO calculation tool (CFO CAST) developed in Program 10 (P10-10) was employed in Task 1 to compute CFO level for several commonly used distribution pole configurations (shown below) with wood, concrete, steel and fiber-reinforced composite materials. In Task 2, Physical Properties, various physical characteristics of the non-wood materials were investigated to explore their mechanical and physical properties. Strength-to-weight ratio, or specific strength, describes the ease of transportation; the higher the ratio, the “lighter” the material. 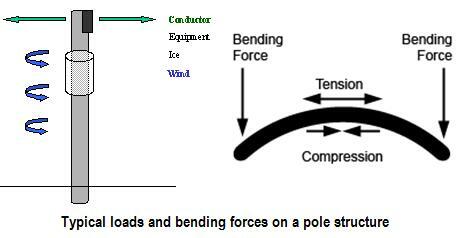 Tensile and compressive strengths indicate the capability of a pole to withstand pulling force, i.e. conductor, wind and ice loading. 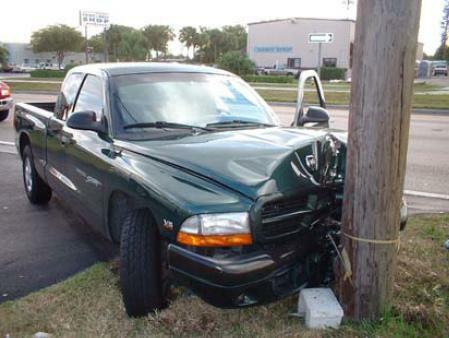 Elasticity strength indicates how well a pole can return to its original shape after stress. Ductility strength reflects how well a pole can sustain deformation plastically without fracture, i.e., how likely is the material to fail under extreme loading. In Task 3, Impact on System Reliability, the impact of various aspects of non-wood poles on the reliability of distribution systems is discussed, particular, how the lightning performance and physical properties affect popular measures of reliability: SAIDI, SAIFI, CAIDI and MAIFI. An illustrative simulation shows how changes in overhead line failure rates and repair times, plausibly precipiated by a change in pole material, influence the system reliability. The outline for thw 55-page final report is shown below.